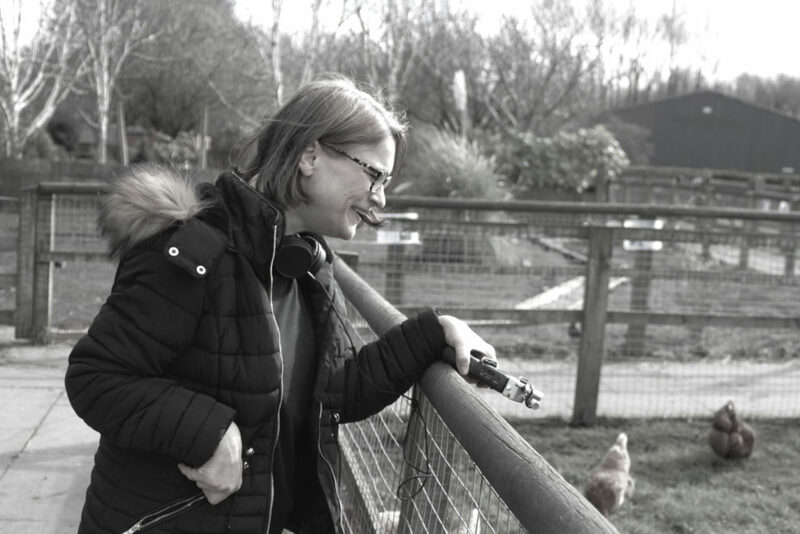 Yesterday a visited Acorn Farm. 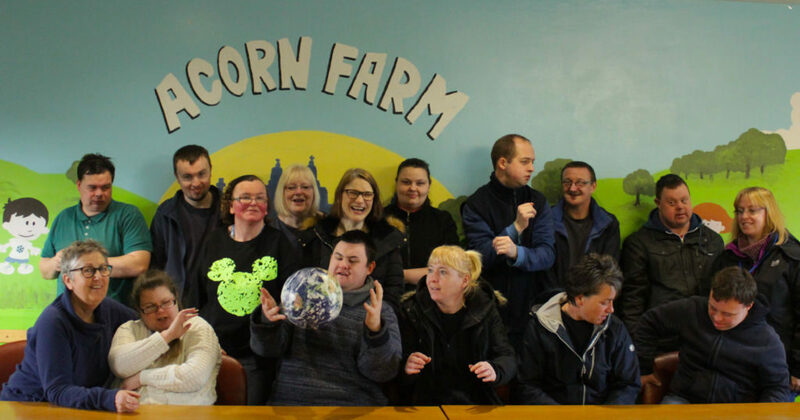 The farm runs a brilliant day service for people with learning disabilities, some of whom will be taking part in my forthcoming sound based workshop. This workshop is part of the research for my Heart of Glass residency. 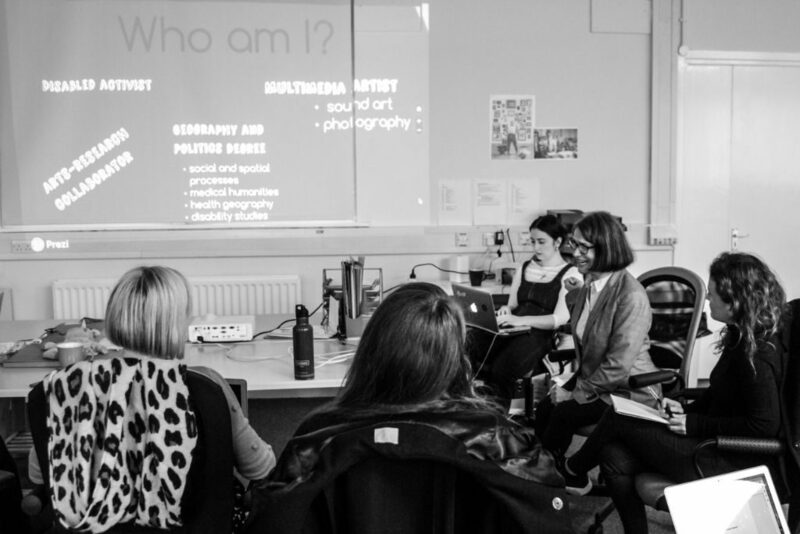 Working alongside technologist Kris Gjerstad, we will be focusing on different ways of communication and challenging perceptions about who who is allowed to speak. We will also be exploring the work I have been doing with Gareth Cutter, i.e. the voice in fairytales and future ways of talking. Whilst I was at the farm I recorded some sound using my newly purchased Zoom H5 Recorder. Here is a short sound mix from the field recordings I made during my visit! 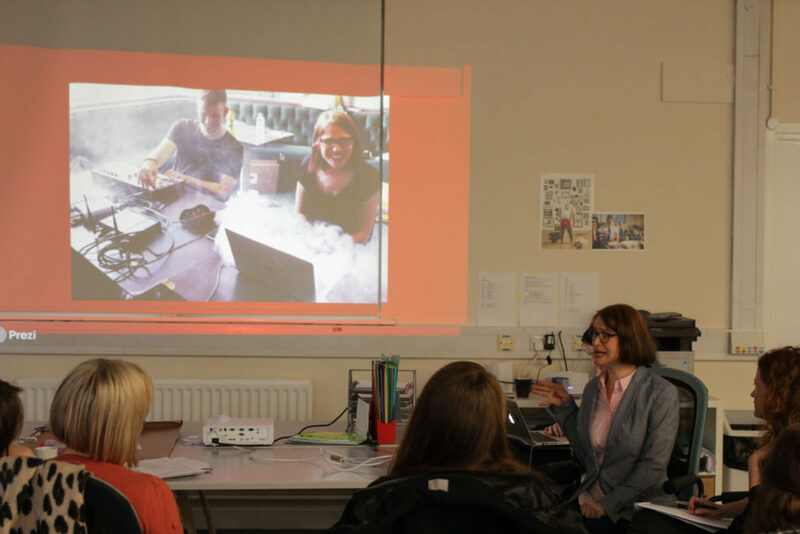 Last week I delivered a presentation about my arts practice for Heart of Glass. Heart of Glass are an arts organisation based in St Helens with a focus on collaborative and social arts practice. They recently commissioned me to work on a research residency which will take place from February to April 2019. 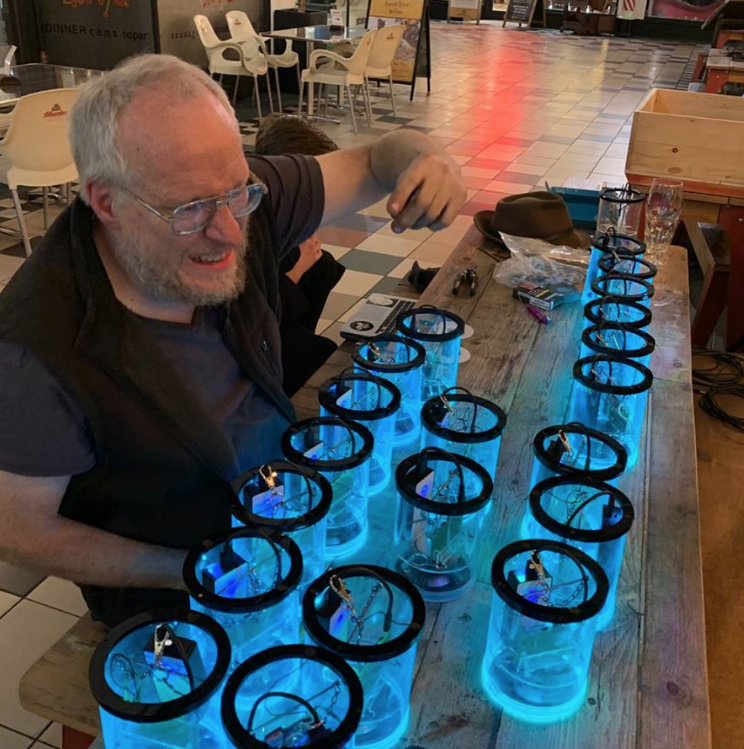 Working alongside Emily Gee (Heart of Glass Producer) and local disabled people, I will be investigating new possibilities of articulations beyond traditional art world paradigms. I will also be exploring issues of power, voices and intersectionality through collaborative workshops, studio time and research visits. Gemma Nash at Heart of Glass talking about Beyond Vocal Norms collaboration with Gareth Cutter! Watch this space for more blogs about this exciting action research. 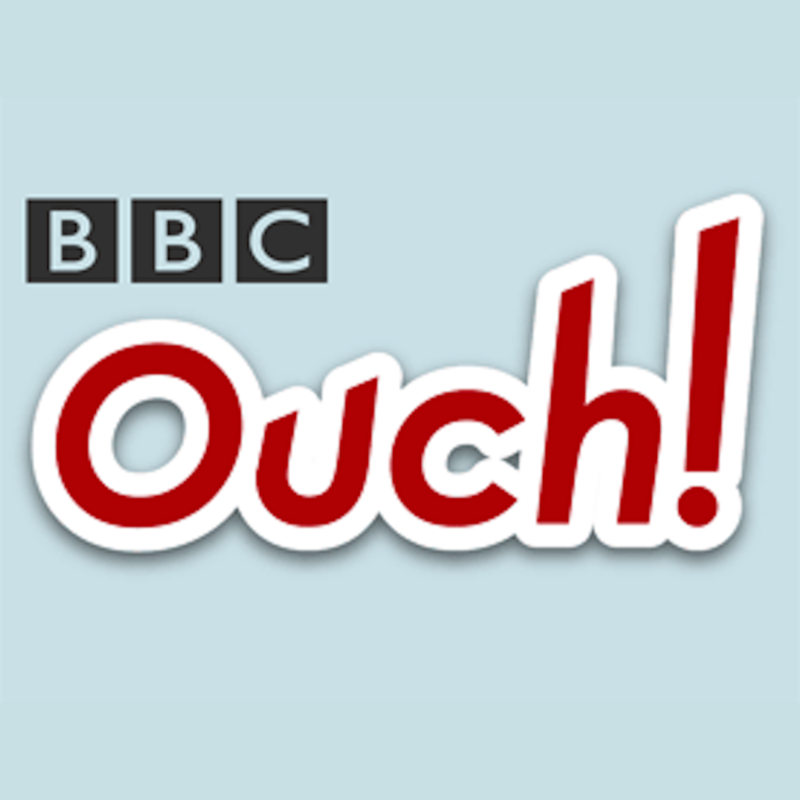 BBC article from 14 years ago (gulp) about my ‘Old Skool’ club night Virtual Itch and the club’s resident disabled DJs. 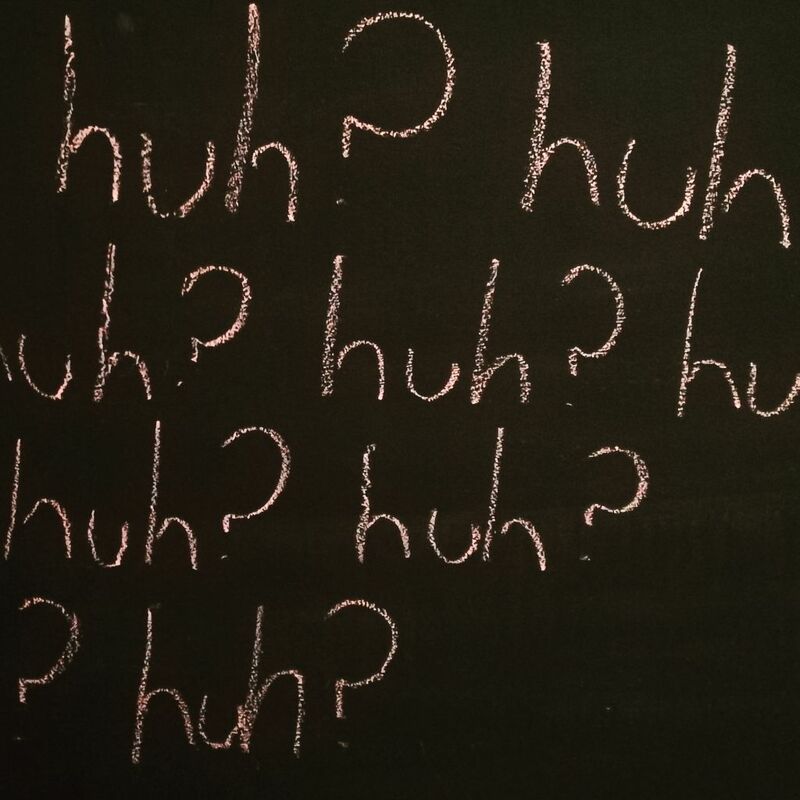 Did I really say that ?! Cringe. by Nuala Calvi, 13th February 2005. A while ago I was interviewed by the very talented Irish composer Ailís Ní Ríain for the British Music Collection – a collaborative project between Sound and Music and Huddersfield University. 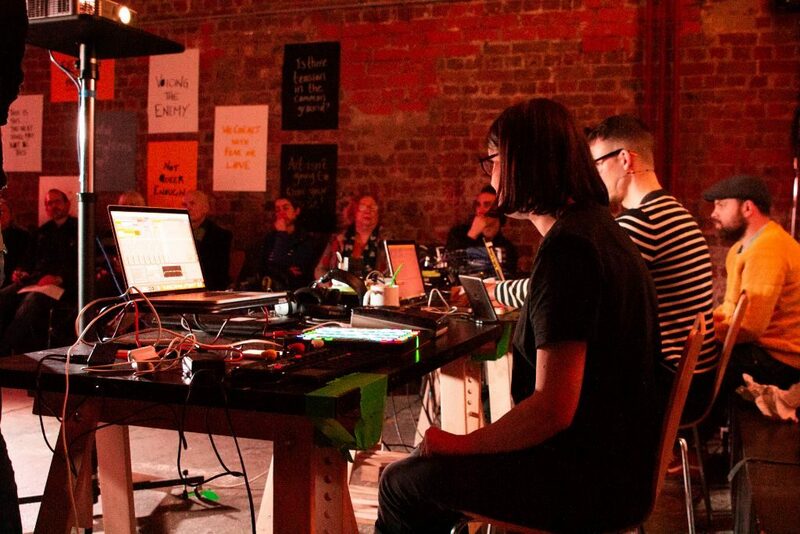 The focus of this interview is the Manchester based digital story-teller and sound-artist, Gemma Nash. I became aware of Gemma when she interviewed for a place on Sound and Music’s Pathways Programme. 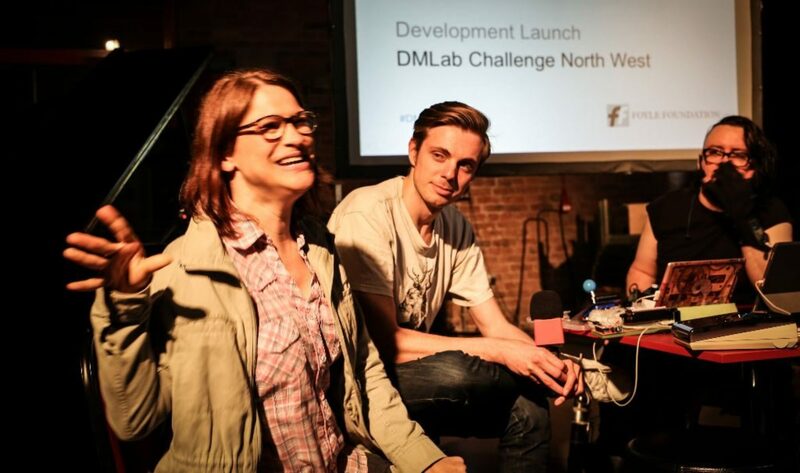 I was on the interviewing panel and was intrigued by the strong political and social narrative in her sound work…. 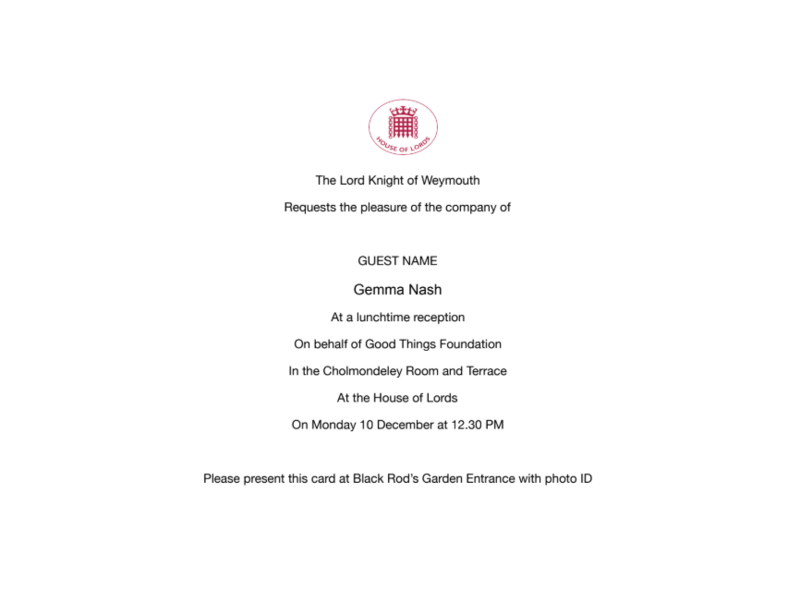 Today I attended an event at the House of Lords to celebrate Voicebox Cafés work supporting underrepresented women to participate in public life. As a sound artist I have worked in some eccentric places but none quite as grand as the House of Lords! 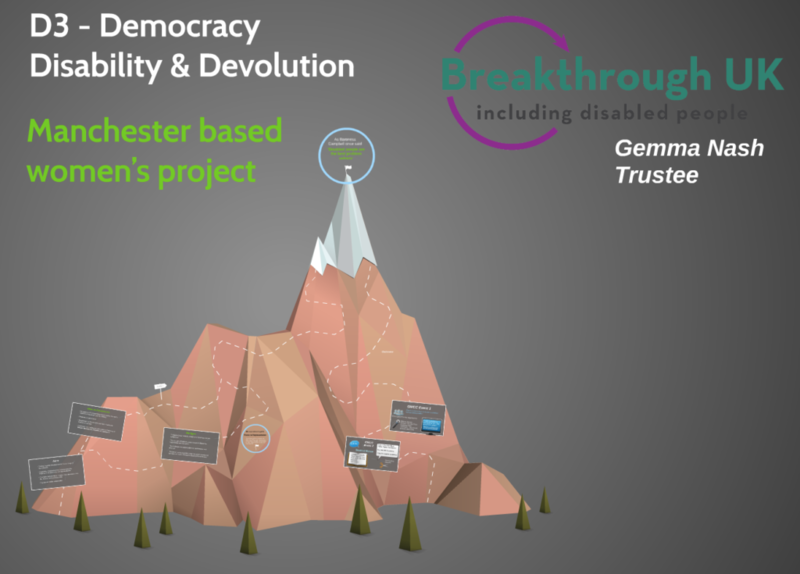 I was there in my capacity as a BreakthroughUK Trustee to help promote their new Manchester based women’s project – D3 (Democracy Disability & Devolution). There were lots of interesting speakers at the celebration talking about a wide range of empowering projects. I was particularly impressed by the young women from Manchester’s Women Making History project talking passionately about international and domestic ‘period poverty’. This was a subject I briefly touched upon in my sound piece about disabled women’s health. Disabled women’s healthcare is also a topic that BreakthroughUK is addressing through their health screening workshops. Running at the same time as D3 these initiatives will support, encourage and empower local disabled women to take action and become more politically active. 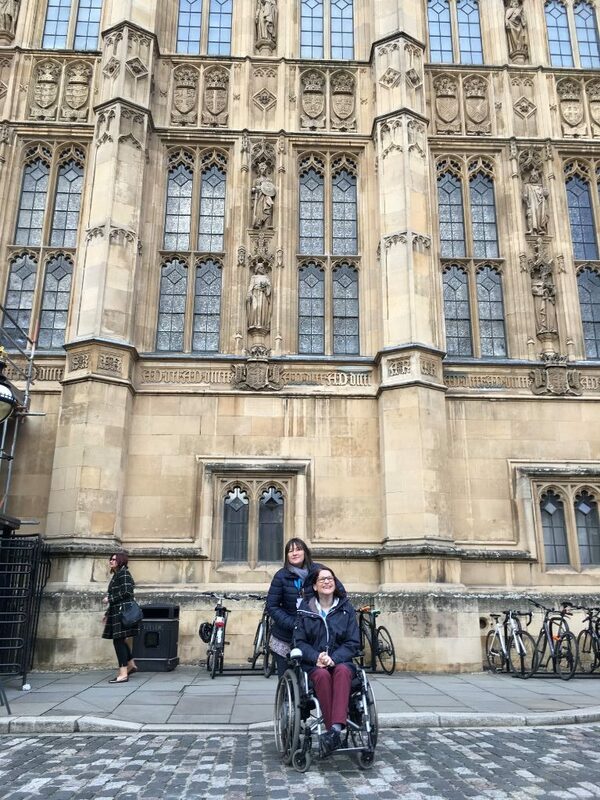 Supporting disabled women to get involved in the political process is so important because we are particularly underrepresented. 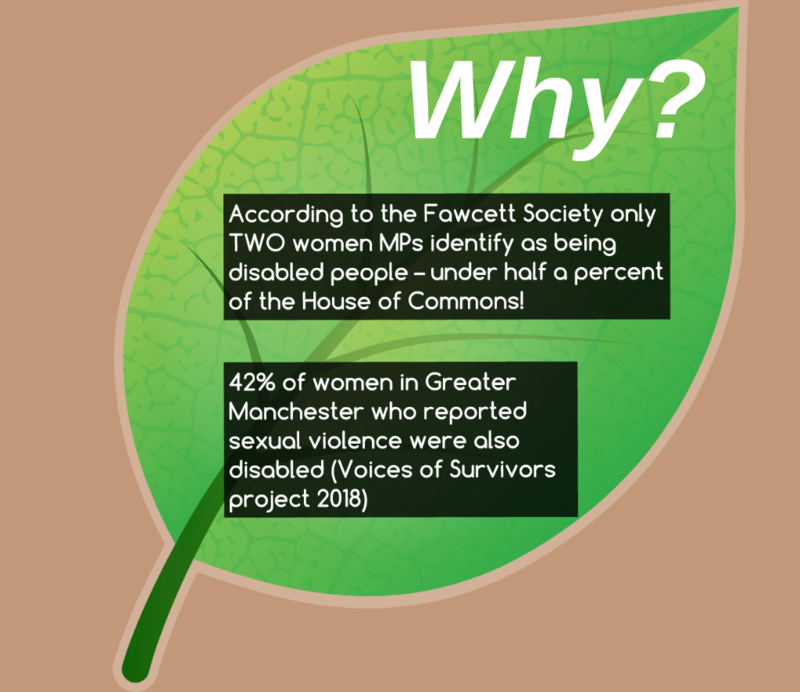 According to the Fawcett Society only TWO women MPs identify as being disabled people – under half a percent of the House of Commons! 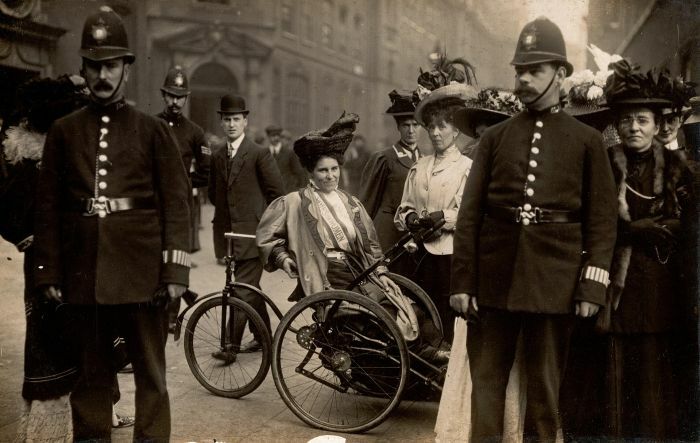 Yet the ONS estimates that approximately 8% of the working age population are disabled women. Our lack of representation can be partly attributed to a global culture of misogynism within the political process. But I also think we face a hybrid form of misogynism, as illustrated by the awful sexism and ableism Freyja Haraldsdóttir recently experienced from other Icelandic MPs. This intersection of misogyny and ableism is apparent within all aspects of the political process – from voting to standing in elected office. In the UK there has even been issues at AWS (All Women Shortlists), such as the lack of step free speaking platforms and ableist attitudes. For example, one AWS candidate kept emphasising her ‘physical prowess’ during Hustings. A debating tactic which would be questioned, at the very least, if she was emphasising being white or heterosexual etc . We have a political culture of macho-ableism which favours the loudest, rather than the most suitable, candidate. Alongside the lack of basic adjustments, this sends the message that disabled women are not expected to be part of the political process. 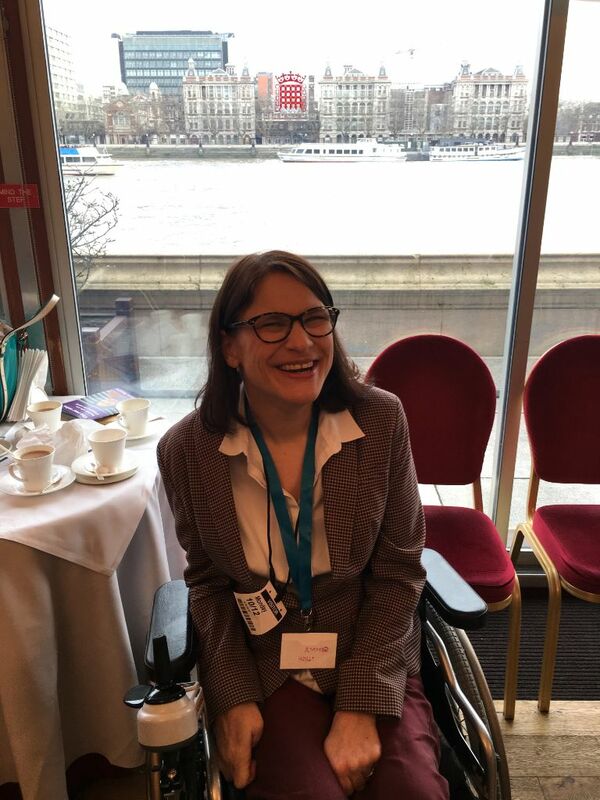 Recently this problem has been highlighted by shadow minister Marsha de Cordova after House of Commons authorities provided an inaccessible meeting room for an event being held to celebrate the UN’s international day of disabled people! Hopefully initiatives like D3 and VoiceBox Cafes will go some way in changing this status quo. For more information about D3 please see the Breakthrough website: https://www.breakthrough-uk.co.uk/democracy-disability-devolution. To mark UKDHM I talk with Ben Lunn on his composition ‘T-4’, commissioned by Drake Music and set to be performed at DaDaFest. 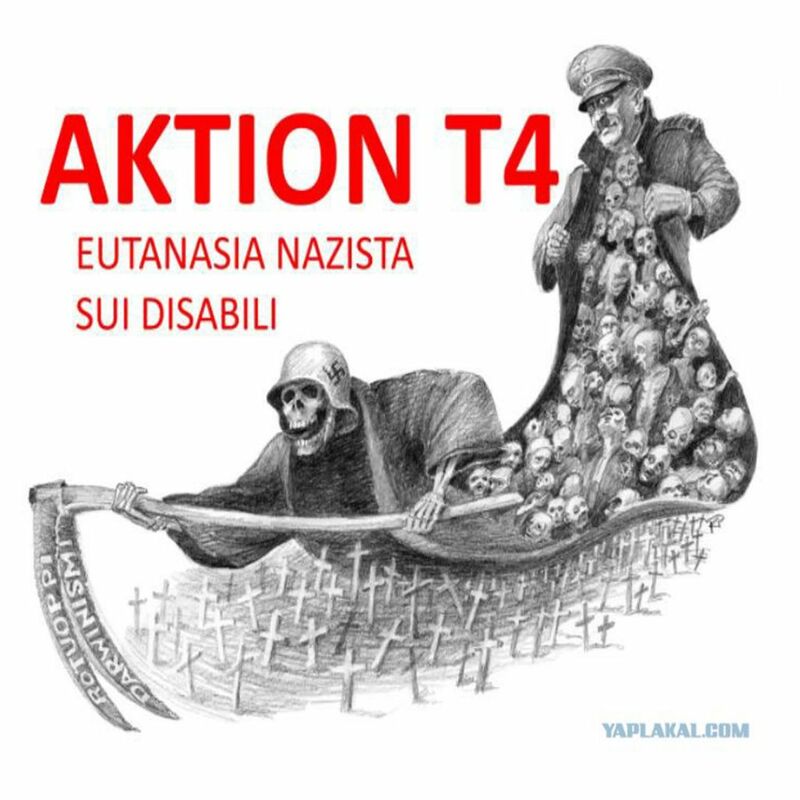 The work explores the history of Aktion T4 and how it parallels today’s austerity.